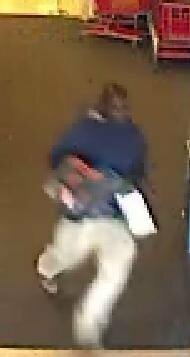 Suffolk County Crime Stoppers and Third Precinct Crime Section officers are seeking the public’s help to identify and locate the man who stole headphones from a Target in Bay Shore. Bay Shore, NY - October 16th, 2013 - Suffolk County Crime Stoppers and Third Precinct Crime Section officers are seeking the public’s help to identify and locate the man who stole headphones from a Target in Bay Shore. On September 6, 2013 at approximately 11:35 a.m., a manentered the store, took three sets of Beats Dr. Dre headphones valued at $750 and ran out of the store without paying for them. He was last seen fleeing the store, located at 838 Sunrise Highway, in a large SUV (i.e. Chevrolet Suburban or Ford Explorer). The suspect, who is also suspected of stealing headphones on August 26, is described as a black male with a clean-shaven head. He was wearing a black t-shirt and jeans during one incident and a blue t-shirt and tan pants during the other. Subject: LongIsland.com - Your Name sent you Article details of "SCPD Crime Alert: Man Wanted for Petit Larceny in Bay Shore"